Thank you for stopping by my blog! I will follow back, just leave your link in the comment box! Have an awesome Friday! A. OH man... There are SOOOO many to choose from. But Ill just list a FEW of my favorites. Things Ive learned from my AMAZING Beta Readers and Critique Partners and why they are SO valuable and amazing. a. Examples: "I searched in the spot in knew his mind was..." word correction there. b. "I opened my eyes to see look at him," extra word? c. "She always claimed she was a morning person, though I have to witness that." Missing the yet? d. "I could see his lips twitch the slightest but down." slightest bit down? 2. Then they offer you advice and tips on how to make your work better. When you are writing, sometimes you KNOW what you want to say, and how you want the story to go, but sometimes its hard to actually SAY it, (or WRITE it in this case.) Sometimes you just cant think of a way to make it flow right. a. "We were walking down a narrow path which made us walk closer together and made our shoulders touch. I suppressed the sigh..."
It feels stiff. 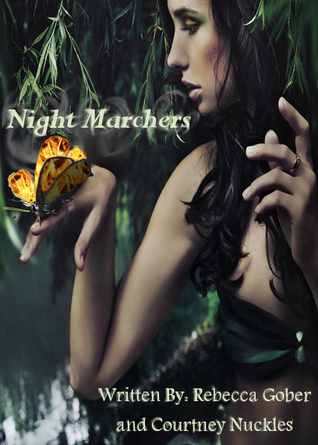 Try something like…"We walked down a narrow path, our bodies moving closer together. I suppressed the sigh that threatened to escape as our shoulders touched and my body relaxed at the familiar comfort of his body." 3. They give you encouragement and point out specific things that they like, and they think you do well, so you can do more of it. SO… Im SO glad I finally read this book! Everyone that’s raving about it is SO right! 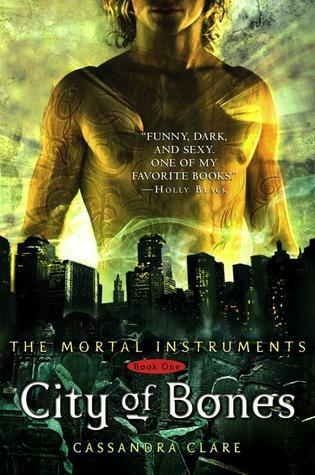 Cassandra Clare is an amazing author who truly makes her worlds believable! So… I know some people say this story is a lot like other stories combined and maybe there are similarities… BUT there are similarities in EVERY book. AND- as I was reading it, I didn’t feel like it was unoriginal. I thought it was actually awesome. Ten-year-old Jack James has a secret. He’s found a teddy bear he swears is really a mysterious animal with supernatural abilities. Soon he discovers its name is Takota, a Tanakee on the run from some ruthless and sinister forces. After a storytelling enchantress teaches them of a centuries-old bond between humans and Tanakee as well as an ancient evil bent on destroying the entire universe, Jack and Takota are thrust toward their shared fate. On their journey for survival, Takota must conquer strong inner turmoil and learn the true nature of his emerging mystical powers, while Jack has to help harness a revolutionary device invented by his father in the hopes of rescuing them all from certain extinction. This book was such a delight to read. Though I rarely read younger, middle grade books and that may have tainted my opinion. Because my normal genre is much older, it took me a while to really get into this story. However, Im glad I stuck with it because it turned out to be really a great Children's Book. 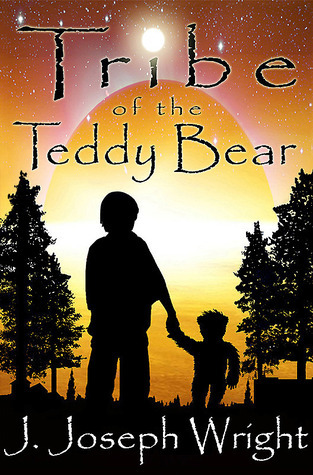 The story follows a nine year old boy with a very active imagination, as he goes on a journey with… his Magical teddy bear. The story moves very quickly, not only with the Tribe, but also with multi-dimensional devices invented by James’s father. There are bad guys, which would be pretty scary for younger kids. But really added some great tension to the story. I think the thing I loved the most was James. He was a little different because his dad was always telling him about other dimensions and things, and that made him seem weird to other kids. And though I was never a 10 year old BOY, I was a weird, overly imaginative, Girl and James reminds me of ME. I liked him, and I really liked Amelia. It says for 9 and above, but I plan on letting my 6 year old read this. I think she will enjoy this a lot! Ok, so I have finally set up my Author Page- MrsTheresaJones, since Im FINALLY getting close to publishing my books! 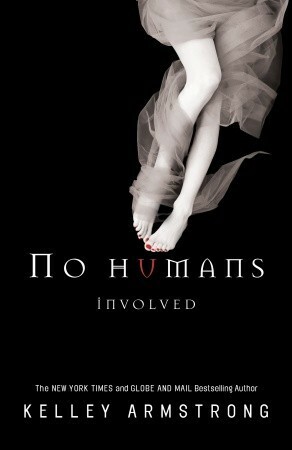 A.Delirium by Lauren Oliver! 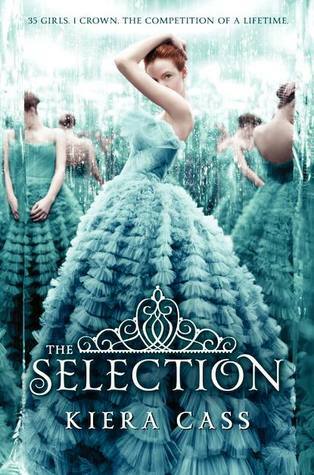 I really liked the book, BUT I never liked the original Cover! The new one, is way better! This book is hard to review. I have been hearing about it for a while now… but now Im just not sure whether I liked it or not. The beginning (first chapter) was great, I was immediately interested in what the world was like and what was going to happen. But then it stopped. The story dragged and dragged forever, and I constantly kept waiting for something to happen. I didn’t really like the way the story was told. I felt like I could never connect with Rhine. I didn’t really care about her at all. At the beginning, her fear was tangible and real, then nothing she said/felt mattered to me anymore. As far as the sister wives, I loved watching their relationship with each other grow. That was done really well. But that’s it. I really didn’t like Cecily. Jenna was ok, and had a little more depth to her. But I didn’t really like any of the sister wives. Its that time again when I notice covers that use the same photo- with some minor changes. I am SO glad I finally read this series! The entire series was great, and this book just was the icing on the cake! 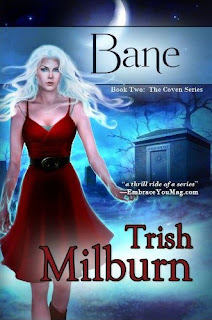 Her past put them all in danger, forcing a confrontation with the dark covens. In a life-and-death battle to save those she loved from the covens, Jax gained staggering power. Power so intense, so dangerous, she fears the darkness that now dwells inside her like a living thing. If she can’t control the power, she may yet become as evil as the witches she conquered. Bane starts off right where White Witch stops. It has been a long while since I read White Witch, so Im glad I skimmed back through it. I feel that without reading the first book, you might be lost in reading this one. 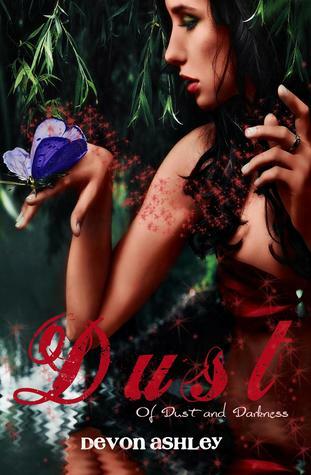 So… I rarely will read a book that doesn’t have SOME paranormal or fantasy component… but Im SO glad I gave this a try. I was completely surprised at how I liked this book. The story follows Grace, a 16 year old girl who has been raised basically in the Smoky Mountains due to her father being a Game Warden. 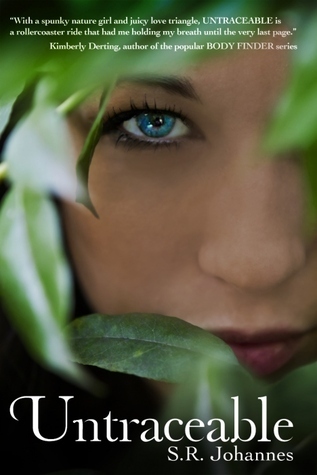 She knows all the ins and outs of the forest and how to survive- if needed. Then… her father goes missing. The book starts 3 months after her father went missing and everyone is ready to close the case due to lack of leads or evidence. They have decided that he must have fallen in a lake and drowned. Now all Grace does it hike through the woods looking for clues somewhere. After finding some men who are doing some illegal poaching, she ends up in some serious danger, only to be saved by the mysterious Mo. OMG. This book was perfect! It was everything I wanted and more!!! So... I finally did it. 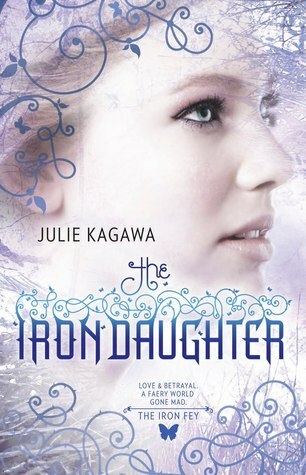 I have signed up with Netgalley in the hopes of getting ARCs to review! I have ALREADY received TWO ARCs for review!! And one of them is a sequel to a book I read a while ago that I really enjoyed!! Thats all I have for today. Ill spend the rest of the day reading, mostly! Again, the action starts right away. 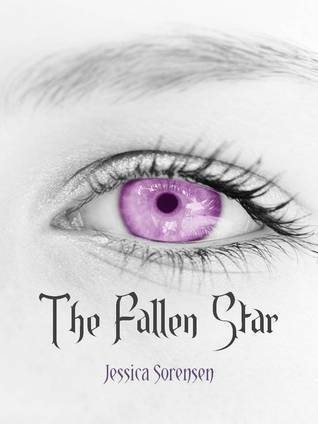 This book starts right where the first stopped and continued Meghans journey in finding and destroying the Iron Fey. The problem: No one believes they are real. The read was fast paced and fun. 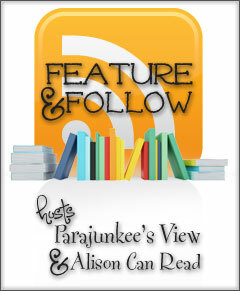 Follow Friday is a weekly event hosted by Parajunkee and Alison Can Read. This week's Question is: Q.What would you do if you were to start your blog from scratch again? A. Well... This is easy because I just BARELY started my blog a few months ago. And really, any mistakes Ive made, I dont even know about yet. Everything seems to be great. I might have had a different name or different URL- something pertaining to books. But since I plan to be a published author one day, I chose to just use my name... So... I dont know what I could have/should have done differently. That being said, if I were to start my blog over again, I would do it all the same. Make sure to let me know if you are a NEW follower so that I can come follow you back. Anyways… This book was everything I expected it to be. 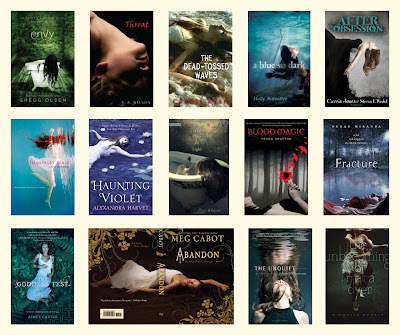 That being said, I have put together a list of HOW to create a GREAT book cover! 1. The VERY FIRST thing you must do is know your market. Go to a bookstore and look at all the books that are on display. Go to Goodreads and browse books in the genre your book is. Look at what is popular and what the covers look like. a. This is important because it gives you a starting point, an idea of HOW books look NOW. 2. Figure out what your book is about. Who is the main character? Does he/she have any specific characteristics you might want portrayed on the cover? Is he/she somewhere unique or specific? What about the bad guy? Is there a specific item that is important in the story? Figure out the MAIN issue in your book and figure out how you can make that a picture. a. This is important because you want your cover to say something about your book. You want the cover to SHOW something about YOUR book, why THIS book is special. 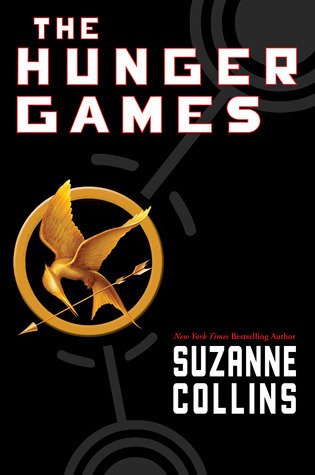 So... Im doing this because last night when I was half asleep nursing my son, I was browsing Goodreads and I noticed a cover that looks exactly like another cover. Anyways... even though I cant find THAT one... Here are some different books that look the same as the another. 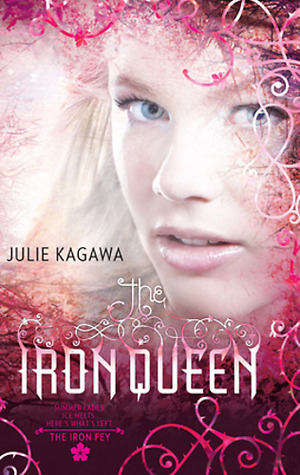 Ok… so this book was completely unique and different than any other book Ive read yet! Was there romance? Yes. Action? Yes. Dystopian? Mostly. But still, SO different. I think it was more sci-fi than dystopian. Anyways… Let me just start. WOW! 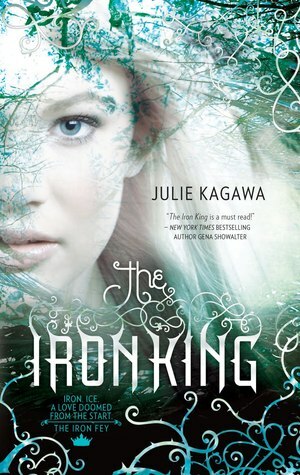 I only picked up this book because the cover was pretty and I had seen it on a few blogs… MAN was I in for a surprise! Nora Grey can't remember the past five month of her life. After the initial shock of waking up in a cemetery and being told that she has been missing for weeks - with no one knowing where she was or who she was with - she tried to get her life back on track. Go to school, hang out with her best friend, Vee, and dodge mom's creepy new boyfriend. 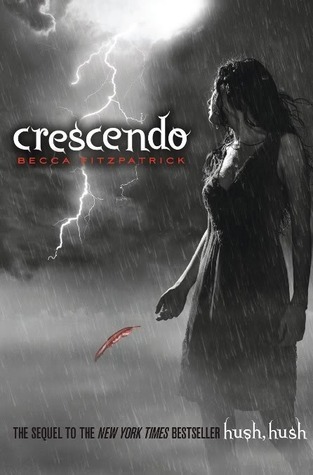 THANK YOU, Becca Fitzpatrick! This is exactly what I was looking for in these books! A clear plot, some actual romance, action and suspense! Finally a book in this series worth praising! Nora Grey's life is still far from perfect. Surviving an attempt on her life wasn't pleasant, but at least she got a guardian angel out of it. A mysterious, magnetic, gorgeous guardian angel. But, despite his role in her life, Patch has been acting anything but angelic. He's more elusive than ever (if that's possible) and what's worse, he seems to be spending time with Nora's arch-enemy, Marcie Millar. Nora would have hardly noticed Scott Parnell, an old family friend who has moved back to town, if Patch hadn't been acting so distant. Even with Scott's totally infuriating attitude, Nora finds herself drawn to him - despite her lingering feeling that he's hiding something. 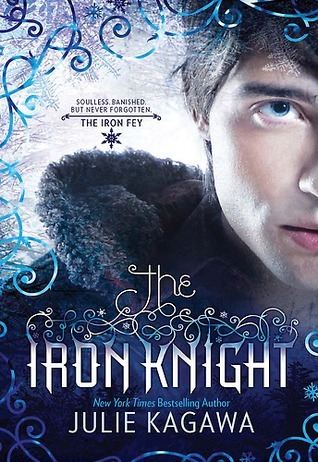 So… in all honesty Im a little let down by this book and this entire series. The love connection is SO lacking! 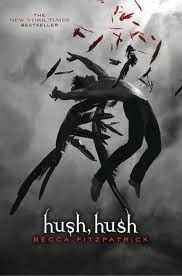 In my review of Hush hush, I said I was hoping the romance would step up a bit, but it was the freakin OPPOSITE! Patch and Nora were fighting the whole time, and for the majority of the book, were NOT even together! SUCH a letdown. So… Im a little torn in this review. 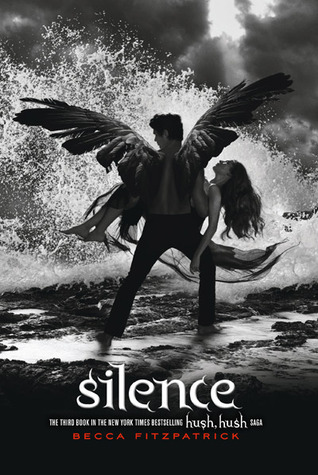 Before reading Hush, hush, I read several reviews on it, some that said this books is more than amazing, and some that said it was supporting sexual harassment and stuff. So going into it, I was a little weary.